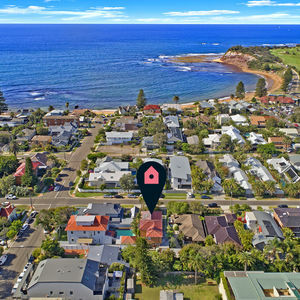 Claiming a coveted and tightly-held beachside setting in one of Sydneys most desirable locations, this substantial dual level brick charmer in Collaroy Basin is just a few steps from Fishermans Beach, Long Reef Golf Club, tennis courts, eateries, Long Reef beach, Collaroy beach and bus transport. The home is wonderfully spacious and filled with unique character; high ceilings feature exposed beams in the large lounge/dining room, while a rumpus, study nook and enormous sunroom deliver ample space for a growing family. 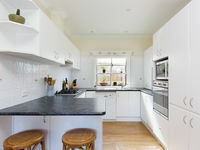 Theres also a modern eat-in kitchen with gas appliances and loads of built-in cabinetry plus a master bedroom downstairs with walk in robe and ensuite that is currently used as a guest bedroom/home office. 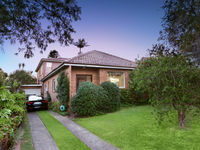 Upstairs features three double bedrooms, two of which are designed to comfortably accommodate two children in each. Additional features include a level child-safe backyard, sheltered entertaining terrace, tandem garage, three bathrooms and extra W/C. 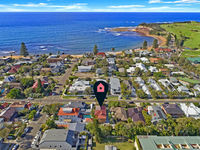 Set just 200m from the waters edge, this home presents a rare opportunity to enjoy one of the finest lifestyles on the Northern Beaches - move in and bring your creativity to add further value in a prized seaside location. 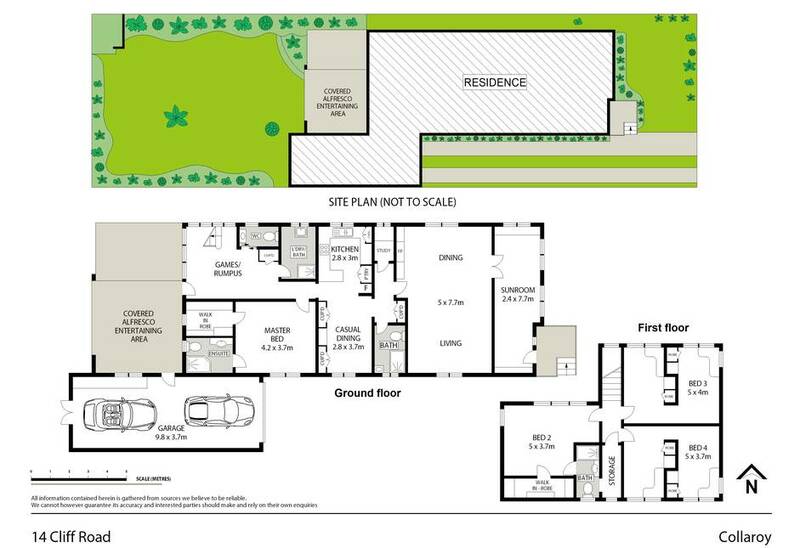 Land size - 557sqm approx. Frontage - 12.192m approx. Depth - 45.720m approx. Council rates - $769.05pq approx. Water rates - $171.96pq approx. For further information or to arrange an inspection please call Matt Morley on 0418 168 932 and 9981 9416 or Isaac Teu on 0432 790 862 or 9981 9420. 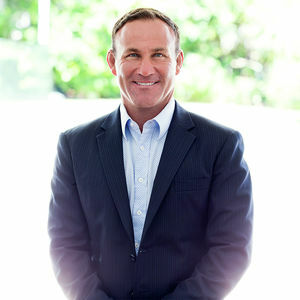 With over 30 year’s experience, a genuine passion for property and boundless enthusiasm, Matt Morley is ranked amongst the top real estate agents on the Northern Beaches and in Australia. A Director and Partner of Doyle Spillane, Matt is considered a steady hand in the industry thanks to his astute business sense, extensive market knowledge and impressive negotiation skills. Treating each property as if it were his own, he is one of few agents with the unique knowledge, expertise and experience to specialise in all property types from luxury estates right through to intimate studios. An energetic, friendly and highly approachable professional, Matt’s innovative campaigns and insatiable motivation to succeed are a reflection of what he does best - achieving successful sales in any type of market. Attaining some of the highest sales prices on the Northern Beaches, 70% of Matt’s business is generated through repeat and referral clients - a testament to his tireless commitment to always go above and beyond. Active in the industry as a mentor and speaker, Matt was born and bred on the Northern Beaches and now resides in the beautiful beachside suburb of Curl Curl with his wife Debbie and their two children, Daniel and Sienna. Spending time with his family, practising Martial Arts or simply enjoying the surf and the great outdoors, Matt is passionate about our community actively supporting Collaroy nippers, Collaroy Cougar Rugby, various local schools and a number of charities.